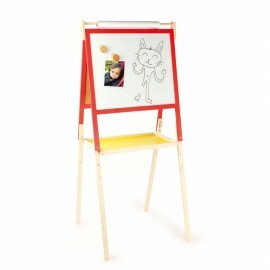 In the range of Arts & Crafts the House of Toys team conceives toys to develop the creativity of the child: an easel and multifunctional desk for the children's room. The children paint and draw to their greatest pleasure and to that of their parents! Creativity There are 2 products.